98,21 € 98.21 tax incl. 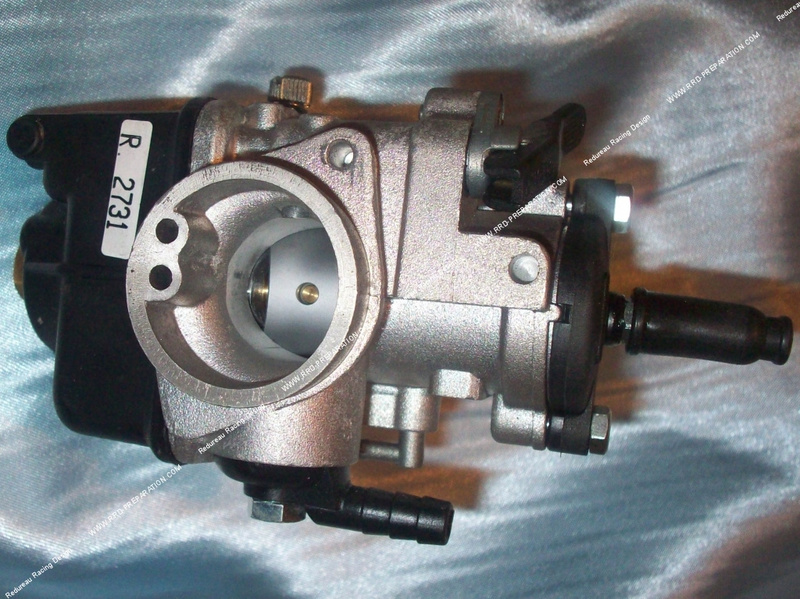 A carburetor which is renowned for its good power, ease of adjustment and quality, can cost you really have a safety for your big carburetor configuration for which you will easily find spare parts or setting. Version 25 PHBL separate lubrication BS and depression is also available here. Many prefer this carburetors to PWK (false KEIHIN) because you certainly do not have power jet but you will have no worries really, longevity is enormous (for proof it is used a lot on original 125cc), price is low, simple adjustments like jet which disassembles without leaving the tank, just unscrew the tank cap, the nozzle is inside, easy to find parts, machining and high quality parts and finish, excellent power and recovery , high speed ilimité with a good set, not excessive consumption, various possible settings such as the weight of the float, in short, sometimes criticized carburetor lot of advantages. Advised on large same configurations to roll every day (except France because not approved), certainly if your machine is designed for meetings, runs, drags ... prefer a Kehin or design type pwk but of quality (eg MIKUNI and KEIHIN) we do not recommend the cheap copies for the very thorough engines and mechanics who love the quality of parts and be sure about their settings. Think of buying the pipe of 25mm socket or connecting sleeve that go with the carburettors.